THE MCIA has repeated a safety message that an increased number of motorcycles on the road results in a lower rate of serious accidents. Steve Kenward, CEO of the Motorcycle Industry Association, said when 10% or more of vehicles on the road are motorcycles, mopeds or scooter, there is a proportionate reduction in rider fatalities. Japan has 98 bikes per 1000 vehicles. For every 1000 bikes on the road, the country has 0.8 motorcyclist fatalities per year. In Europe the ratio of bikes to cars is lower, at 73 per 1000, and the rate of motorcyclist fatalities is higher, at 1.52 per 1000 bikes. In the USA, the ratio of bikes to cars is just 27 per thousand and the motorcyclist fatality rate is much higher, at 5.32 per thousand bikes. Kenward told how ‘volume breeds safety’ at the National Safer Roads Partnerships’ Conference yesterday, where police forces, local authorities, government officials and academics meet to discuss road safety. The MCIA issued a similar message in a conference last year. There is also a growing body of evidence that those who start their motoring career on motorcycles make better car drivers. 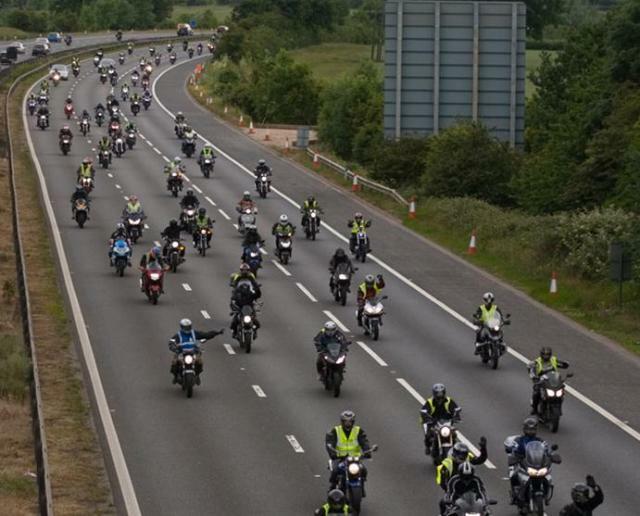 With congestion on the rise, Kenward explained that getting more motorists on motorcycles would result in a ‘virtuous circle’ leading to better road users. According to the research, an increase in motorcycle use has also been proven to keep traffic flowing. A study which models traffic for one of the busiest roads in Europe concluded that if just 10% of drivers swapped to a PTW, congestion would be reduced for all road users by 40%. Increase that number to 25% and congestion is eliminated entirely.